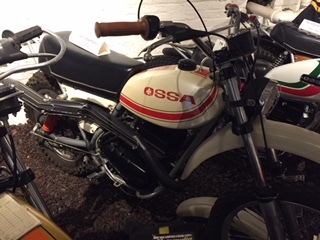 Jim bought this OSSA at the A.M.A. auction during Mid-Ohio Vintage Days. It’s an original piece, except for some paint touch-up on the frame and engine. The bodywork is the best I’ve seen – factory original! We are proud to display it!